How much is Lukasz Gottwald Worth? 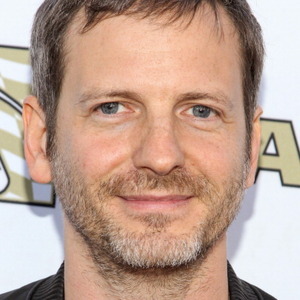 Lukasz Gottwald net worth: Lukasz Gottwald, AKA Dr. Luke, is an American record producer, songwriter and the owner of two publishing companies who has a net worth of $100 million. Lukasz Gottwald was born on September 26, 1973 in Westerly, Rhode Island. He is probably most famous for being a co-writer and producer of some of the biggest pop songs of the last 10 years. To date, Dr. Luke has written/produced more than 20 Billboard top 40 hit songs. He has also won two Grammys. Dr. Luke's first big break in the entertainment industry happened when he was hired join the Saturday Night Live band. He eventually launched a publishing business that hired prospective young artists to write songs for pop musicians. Many of these songwriters, most notably Ke$ha and Katy Perry, have gone on to have very successful music careers of their own. Dr. Luke has worked with all of the largest acts in pop music today, including Britney Spears, Kelly Clarkson, Rihanna, Flo Rida… and dozens more. Lukasz Gottwald's mentor is Swedish super producer/musical genius Max Martin. Over the last 20 years, Dr. Luke and Max Martin are responsible for virtually every single pop song that has dominated music charts around the world. 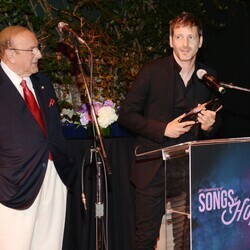 Dr. Luke has won dozens of awards during his career including ASCAP's songwriter of the year in 2010 and 2011. He was nominated for the 2014 Producer of the Year Grammy. Kesha lawsuit: In September 2013, rumors began to circulate that Kesha and Luke were not getting along and that the artist was demanding to be let out of her contract. A few months later, Kesha checked into a rehab center to treat an eating disorder. Her mother would allege that Kesha's eating issues were a result of Dr. Luke's pressures. In October 2014, Kesha sued Gottwald claiming sexual assault, battery, gender violence and various forms of harassment. Gottwald counter-sued. After more than a year of back and forth legal fighting, the lawsuits were settled out of court.